Durable, reliable pants for all types of hunts and budgets. Each year seems to bring along new innovations in the hunting apparel industry, and these are often alongside classic hunting pants and bibs that have stood the test of time for generations. For hunters looking to upgrade their gear and wardrobe, the right hunting pants can make your excursions more comfortable - and even more effective. They won't improve your skill set, technique or equipment, but they can help you stay focused by letting you concentrate on what matters. Finding the best pants for hunting isn't difficult, but it does force you to answer clearly what your goals and needs are for all your hunting ambitions. If you hope to hunt all season long through all types of weather conditions, you'll want something that offers year-round performance. 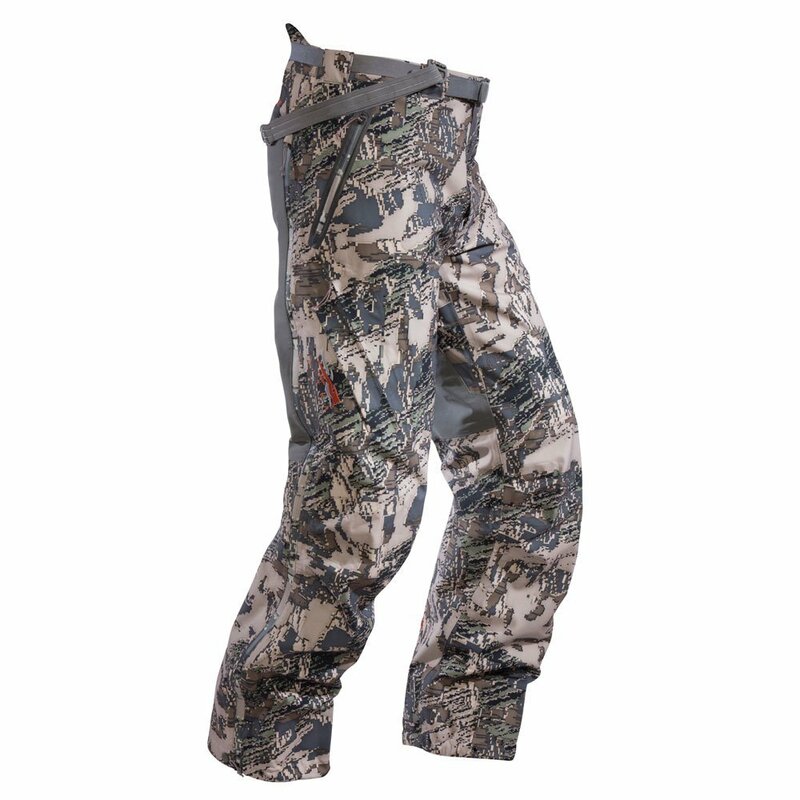 If, on the other hand, you're looking for an early season pant that offers basic protection and little else, you may want to look into something that's lightweight and easy to maneuver in. There's no one-size-fits-all (pun intended) hunting pant that works for everyone, so we've broken down some of our favorite picks into categories based on needs, budget and type of hunting. In the end, you'll often find that getting the best pants for hunting means trying a few before finding a winner. Fortunately, today's online retailers offer amazingly convenient return policies that allow you to do this just as easily as in the store, so if your online order doesn't work perfectly, simply send it back and continue your search. Here are our favorite picks for hunting pants based on overall performance, user consensus and the durability and effectiveness of the pant out in the field. Continue reading below to learn more about why we chose each pant. The motto at 5.11 Tactical is to "always be ready," and the company doesn't just slap that up on the walls of their headquarters in California: it's a way of life. Their TacLite Pro Pant embodies this spirit of readiness as much as any of their products, and if you're looking for tactical-style pants that can do it all, look no further. The TacLite Pro Pant is a breathable, lightweight bottom made of incredibly tough ripstop fabric - breathable, yet extremely protectable as well. Available in 10 colors, including khaki, green, storm and tundra, the TacLite pants are made to endure the elements no matter what your activities. The pants are triple-stitched with double reinforced knees and seat in order to protect the places that often wear out in other pants. The eight tactical-sized and styled pockets make it easy to carry and organize everything you need, and convenient features like a hip-mounted D-ring allow you to customize your setup however you need. A Teflon finish on the pants provides extra weather protection, so even when you're braving harsh conditions, your pants can stand up to the job. An external knife pocket is great for hunters needing quick blade access, and a comfortable, flexible shape to the pants allows you a full range of motion while still feeling covered. The 6.2-ounce cotton polyester blend is lightweight enough to work in warm-weather conditions, but durable enough to also support you during colder times. On the company's website, the pants have received more than 900 reviews, most of which are extremely positive. Nearly 80 percent of all reviewers on Amazon give the pants 5 stars, and 90 percent give the TacLite pants a 4-star rating or better. For many hunters, these are also considered one of the best upland hunting pants because they're ideal for moving continually through open fields, brush and the like. They're quiet and won't give away your location, but will allow you to move freely as needed. In 1992, the FBI Training Academy began using 5.11 pants for their training programs, and today, hunters and outdoorsmen across the globe use their pants for all types of hunting outings. If tactical-style pockets, fit and function are important on your list, the 5.11 TacLite Pro Pant is an excellent all-purpose option. Spend any amount of time in hunting forums and you'll find that Sitka is one of the most admired apparel companies around, and their Timberline pant maintains that reputation of excellence with ease. Sitka calls its Timberline Pant the "alpine hunter’s workhorse," and we're in no position to disagree: the pants' ability to keep you protected and warm at high, cold and dangerous elevations makes it a clear choice for our favorite high-end hunting pants. The pants 4-way stretch polyester means you can move just about any which you'd like, and because these are sheep hunting pants, Sitka understands the challenges and rigors of constantly moving up and down in order to hunt successfully. So unlike heavier, bulkier hunting pants, these will move and breathe in a way that promotes constant movement and aeration for the user. Removable knee pads under the reinforced ripstop knee sections makes it easy to rest and crouch when you need to, and the rest of the "sculpted fit" of the pants makes them comfortable without being too tight. To keep quiet, the Timberline offers quiet snaps and zippers that won't cause any unnecessary noise, and pockets in all the right places provide easy access to tools and gear you'll need along the way. Convenient suspenders and an athletic fit make these pants the go-to option for hunters looking for something comfortable and flexible: if you're tired of bulky, baggy hunting pants, the Timberline pants are a premium alternative. The goal of Sitka, which was founded in 2005, is "turning clothing into gear," and after trying the Timberline pants, you'll agree that the company's mission is a success when it comes to these high-performance pants. KUIU, founded by the same person as Sitka, is committed to "crafting the lightest, most advanced mountain hunting clothing and equipment on Earth." The conversation of best performance hunting pants often involves Sitka and KUIU, and there are loyal fans on both sides of the debate who will go to bat for each brand. KUIU is considered innovative because their business model is based on the idea that retailers often hinder the consumer shopping process by forcing apparel companies into "pre-determined prices" that severely limits what the company can do with respect to margins, materials and so on. So they changed it up and went directly to consumers, and from the start, hunters have flocked to the brand because of its performance and intuition in the outdoor industry. KUIU enthusiasts know the power of ultralight apparel, and the Attack Pant is the company's top-selling pant for a reason. "Honestly, I don’t know how you improve this pant," says one editor at iReviewGear. First brought to market in 2011, the Attack Pant features 18.5-ounce stretch polyester that's focused on one thing: ultralight, high performance. It's light enough for early season action, but when combined with the right base layers, can keep you warm, protected and breathable during cold mountain conditions as well. Water-repellent and made for high-altitude movement, the Attack Pant puts you on the offensive, just as the name suggests. It's available in four patterns, including brown, vias camo and Verde 2.0 camo. The athletic fit is built for versatility, so if your hunting forays require constant movement - especially along ridgelines, timberlines and the like - then you'll love the movement afforded by the Attack Pant. Though they were created for sheep hunting, the pants' mobility and durability runs the gamut and has become a favorite among different types of hunters worldwide. KUIU is all about transparency in the consumer process, and they've become a revolutionary hunting brand because of their commitment to performance, high-grade materials and a focus on what matters most: helping hunters get the job done. Though Under Armour is best known for its workout and team athletic gear, the company makes several hunting pants that have become go-to staples for many hunters because of their simplicity. The UA Early Season pants are ideal for just that early season hunting that doesn't require the high performance - or budget - of more complex pants from Sitka or KUIU. The Early Season pants are 100 percent polyester and offer a flexible range of movement for those mild early season hunts. The pants aren't waterproof, but they do repel water and moisture in small amounts. One user said that water will bead on the pants for quite a while before soaking in, but because they're used for early season activities, it's usually a non-issue. The overriding benefit of these pants comes down to comfort: where many hunting pants are stiff and uncomfortable, these Under Armour bottoms are meant to provide an athletic comfort that's difficult for many other pants to match. Users like the material strength and durability, which is solid without being overbearing. Although they don't claim to offer scent-blocking technology, one user said that they do an excellent job of keeping his scent on lockdown, and other users find the pant is great for warm weather conditions that require breathability and ventilation in order to stay cool for long periods of time. 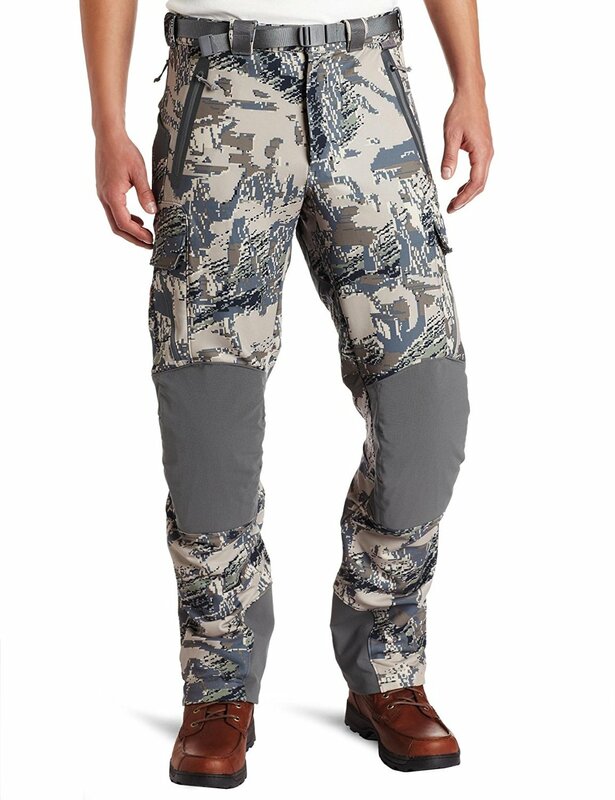 They may not offer the same innovative features of Sitka and KUIU, but these pants are excellent early season contenders for hunters just needing to cover the basics while keeping their apparel spending in check. They may be considered one of the best hunting pants for the money because of the protection you get at such a reasonable price. For those who need more protection than early season pants offer, Sitka's Coldfront Bib is the ultimate embodiment of cold-weather performance. These are considered the top-of-the-line best waterproof hunting pants simply because of the sheer protection they offer by way of first-class materials. The bib's GORE-TEX® membrane offers ideal protection from the elements, no matter how harsh, and the pants get the job done on the inside with micro-fleece interior that keeps you warm without overwhelming your body. Laser-cut seams and typical Sitka-quality materials and construction ensure that you won't need to worry about your pants holding over after miles and hours of use. The gusseted crotch and athletic build of the bib offer just as much movement and flexibility as Sitka's lighter pants, which means there's nowhere you won't be able to get to. Sure, these bad boys are on the higher end of the cost spectrum, but hunters who spend a lot of time in cold and wet conditions understand the importance of high-performance warmth and protection when it matters most. One user, in giving the Coldfront Bib a 5-star rating, needed just one word to summarize why they're so solid: "Sitka." Hunters unwilling to drop $400 or more on a pair of hunting pants will find comfort and convenience in these Yukon Gear hunting pants. Made from durable polyester, these insulated pants are ideal for keeping warm during your season of choice - without having to break the bank. The 240-gram polyester is breathable and offers rugged protection without feeling stiff or disjointed. Though they may seem baggier compared to other pants on the market, the space offered allows you to fit base layers, boots and whatever else you need without feeling constricted. 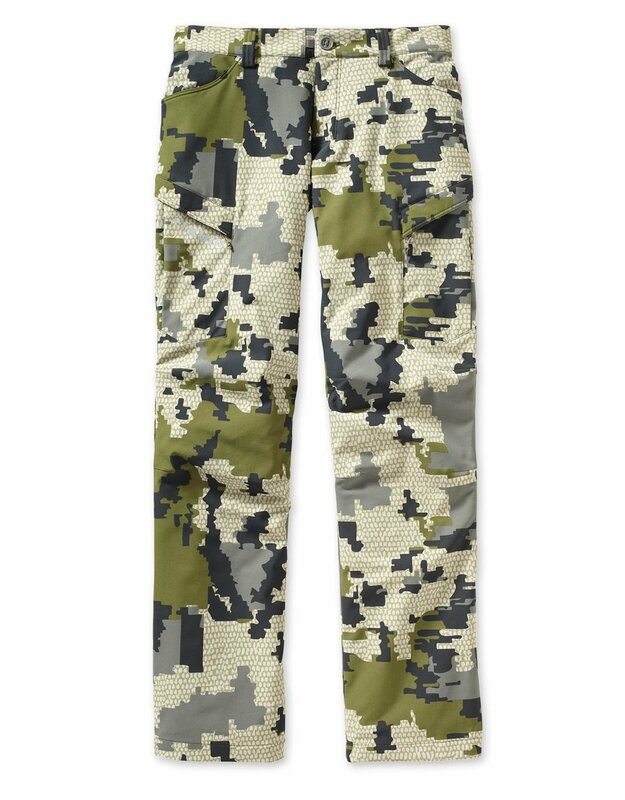 This is one of the best camo hunting pants you'll find at this price point. Yukon Gear prides itself on being able to accomodate your layering strategy of choice, so versatility is the name of the game here. And if you don't have a big budget for all your hunting apparel, you can easily add generic, thin base layers to go under these pants. They're available in Mossy Oak Infinity camo, and though they're basic, these insulated hunting pants are more than enough to keep you dry, warm and protected during hunts throughout the year. All hunters have different needs, bodies and seasons of choice, so finding the right pants is more of a personal preference than anything else. If you're the type who wants performance over all other considerations, brands like Sitka and KUIU will fit your needs. Those who need to balance affordability, performance and versatility will find they have plenty of options on the market. Here are a few tips on finding the best pants for you, and ways to make it easier to spot the right hunting pants when you see them. The standard operating procedure for many hunters while shopping for pants is to go for camo patterns that help them blend into their environments easily. The fact is, there's only so much your pants can do, and relying on skill, equipment and technique can get you a lot further than having the right patterned pants. "Although I typically like to pick out earth tones, you could probably get away with wearing neon as long as you hunt smart: staying off the skyline, using terrain features to break up your outline, and playing the wind," says Tyler Freel at Outdoor Life. Freel says that by not having to feel forced into camo, he's able to avoid severely limiting his options when it comes to the best hunting pants, acknowledging that sometimes the best pants aren't even made for hunting - they're designed for hiking, backpacking, camping and the like. When you're shopping for hunting pants, consider the environment you'll be wearing them in. If you're an early season hunter, go for something lighter weight that won't feel heavy after a few hours. If you're in cold or rainy weather, however, consider getting larger or longer pants that will help you keep everything protected and covered when it matters most. "If your normal waist size is 36 and you buy 36 pants, by the time you finish tucking in longjohns, a couple of undershirts, and a heavy shirt, you'll find your guts are constricted," says David Petzal at Field & Stream. "Buy one size larger than the waist size you normally take." Although it may be tempting to limit your search to Cabela's or Sportsman's Warehouse-stocked brands, consider that other outdoor brands like Patagonia, The North Face and Columbia make excellent all-weather pants that are meant to hold up in the harshest of climes. If you're cold weather hunting, you can even consider snowboarding and skiing pants and bibs that have better insulation and weather protection. These pants, though not made by hunting specific companies, have such high standards for their customer's needs that they'll often do just fine for hunting as well. The bottom line is this: hunting is an outdoor sport, so when your search for the right pants comes along, check out the outdoors selection of apparel in general in order to get the most options and make a decision based on your long-term hunting needs, budget and expectations.